Translation Management Libraries are a type of library designed for translation management. They store a version of each file in each language to which you would like to translate. They also display metadata for each document, such as status (not started, in progress, complete), who is responsible for translating it, and checked in/out status. Sometimes we need to overwrite the existing navigation provider and write our own provider to get the data from list,db or any other third party application.This post will help you to understand how you can implement the custom navigation provider. 1.) Creation of new class which should be inherited from "PortalSiteMapProvider" class. 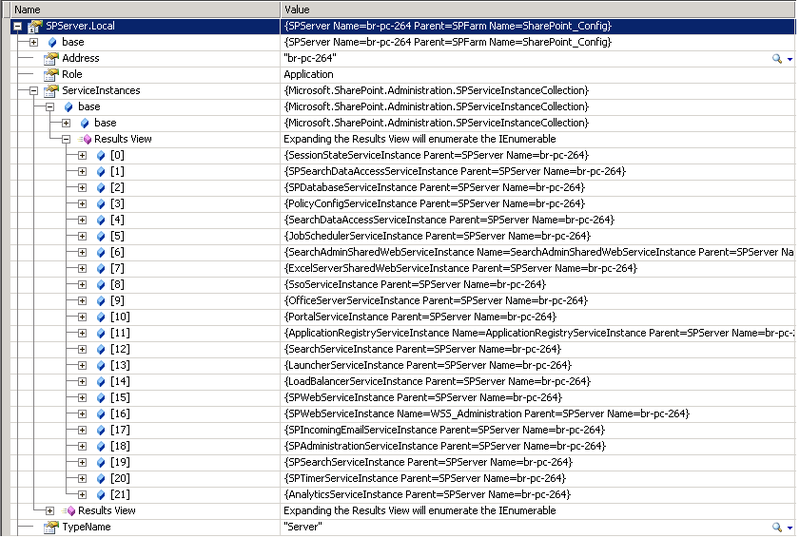 Create new Class inherited from "PortalSiteMapProvider"
// Find the SiteMapNode that represents the current page. // Get the URL of the currently displayed page. // Implement the FindSiteMapNode method. // Does the root node match the URL? // Retrieve the SiteMapNode that matches the URL. After creating the class, add the entry of the class in web.config file of the site. Add this entry under the sitemap->provider tag. 1. Open the webPart gallery and click edit on your webpart. 2. Now Click on "View Xml" . You can also add your property values as I have added my custom propety value "ControlName" in the XML. I came across a nice way to store values at the web application and web levels for whatever needs you may have. In my case I need to store some global settings. To do this I was storing those in a list and when using those in application it was a long process. So after discovering these available property bags I was interested in trying to store existing values there. Similarly you can use SPWeb property bags. 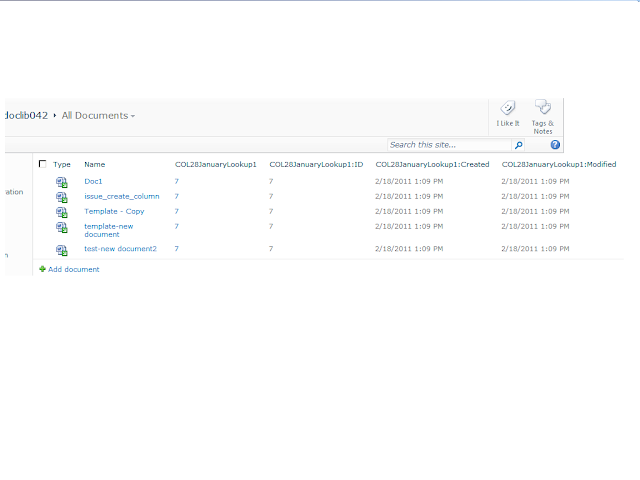 As we know , Dependent lookup columns is a new feature introduced in sharepoint 2010 to include other columns like Title, ID,Version,created,modified along with your lookup column etc. Once a lookup column with these dependent lookup columns is associated with a document library/list, they appear as shown in the screenshot. Recently, we came across a requirement of replicating a lookup column's dependent lookup columns on another site. -creating the lookup column and its dependent lookup columns on the other site from the xml. 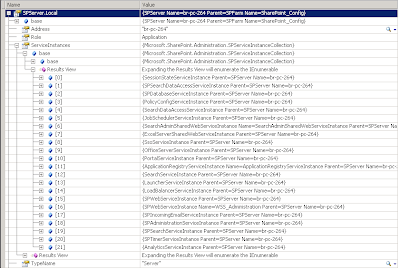 Here 'spPrimaryField' is the new lookup field with which the dependent lookups are to be associated. 'additionalConfigXml' is having the xml string specified above. If you are working on SharePoint up-gradation from 2007 to 2010, this post will help to analyse the points, which you should keep in mind during the up gradation or for estimating up-gradation effort. 1) Analyses of the existing environment : The PreScan tool, will help you to analyse the existing environment.Run this tool on the existing environment and analyse the report given by tool.This report will help you to find out all the issues, needs to be fixed before starting the actual migration. 2) Analysis of the existing code : If the current application is customized and using the SharePoint API's, make sure that all the API's supported by new version also. 3) Analysis of the existing branding : If the current application is using the customized branding, take the relevant estimate for the upgrading of the customize branding on new version. In the SharePoint 2010, master page structure is completely different then MOSS, which will force you to re-write the whole customization from the scratch.
. Before going ahead, make sure that, the approach you are finalizing, should fulfill all the requirements. 5) General Farm settings configuration : You should consider the estimation for applying the general farm level settings in new environment available in the SharePoint 2007 environment like email settings, blocked file settings. In SharePoint 2010, few new settings also introduced by Microsoft (like health data collection, diagnostic logging, and mobile accounts) , consider the efforts for the configuration of these settings also . 6) SSP up-gradation : In the SharePoint 2010, Shared service provider has been changed by new service architecture.Link http://technet.microsoft.com/en-us/library/ee731990.aspx#Considerations will help you to analyse the up-gradation approach. 7) Web Configuration Changes : If the custom entries are defined in the application’s web.configuration file, these entries needs to be migrate on the SharePoint 2010 environment. This process requires manually identifying the entries available in the existing configuration files and moving them on new version. Hope this post will help you in the up-gradation process.